IowaWORKS and Fairfield Economic Development Association will host our Annual Job Fair on Thursday, May 10, 2018 from 3 p.m. to 6 p.m. at the Fairfield Arts & Convention Center Expo Hall. The event will promote full and part-time career opportunities, summer positions, apprenticeships, and will bring available job seekers, ranging from entry level talent to experienced professionals together under one roof with employers. 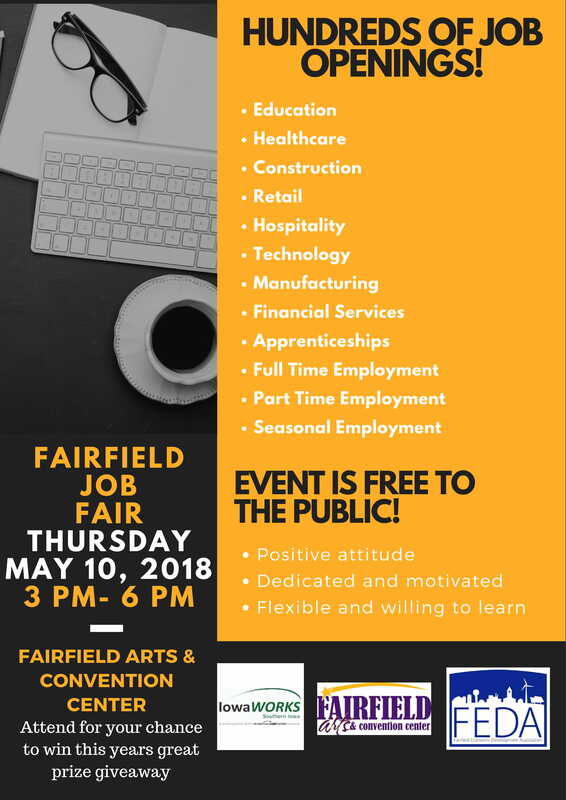 The Annual Fairfield Job Fair is free to all employers and job seekers.